A Complete History and Development of all the Extraordinary Circumstances and Events Connected with the Murder of Mr. Weare: together with the coroner's hearing and the trial. An account of a well-publicised murder in 1823, one of a number of contemporary works covering the crime. If you like old books you'll find this true story fascinating. 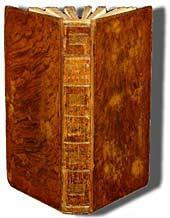 If you are a writer of books set in the 17th/18th century, this will also provide a useful reference work. 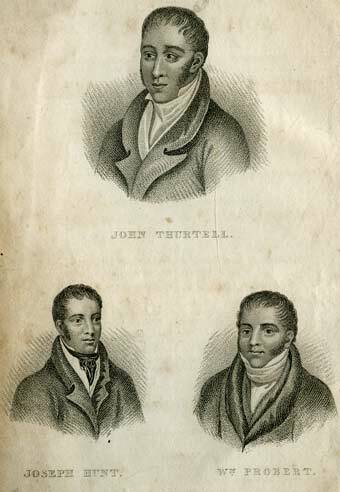 The main text includes 2 accounts of the trials, plus reproductions of the witness statements, murderer John Thurtwell's defence and statements, the judges statement, sentencing and execution of Thurtwell, plus notes on the transportation of conspirator Joseph Hunt. Dubbed "The Elstree Murder" because of the pond near Elstee into which the corpse of solicitor William Weare's body was dumped, the case was sensational largely because the accused was son of the then mayor of Norwich. Thurtell had accused his fellow gambler of having cheated him of £300 at cards. Whatever the truth of the case (and Thurtell did confess to the murder before mounting the scaffold), he had already been prejudged by the Press which produced vivid accounts for an all too eager public. Such was the extent to which the public was ready to accuse Thurtell that the judge remarked that if "these statements of evidence before trial which corrupt the purity of the administration of justice in its source are not checked, I tremble for the fate of our country." his was to be the last trial in England conducted under the old 16th century principles, the main feature being that the accused had to defend himself against the prosecution. Thurtell made a lengthy and somewhat rambling address to the court and it took the jury only twenty minutes to find him guilty. A newly designed gallows was built especially for the execution, incorporating a proper drop and doing away with the need for ladders and carts to get the prisoner suspended, and it soon became the standard pattern of its day. Most significantly its construction began before the commencement of the trial. A waxwork was made of Thurtell immediately after his execution and subsequently exhibited at Madame Tussauds. Includes a History of the Gaming Houses and the Gamesters of the Metropolis. What is an "eBook" anyway? An "eBook" is actually a computer file which uses "Portable Document Format" developed by Adobe. Almost all computers already have a free program called "Acrobat Reader" to view or print out these books. But buying things on the Internet isn't safe! Paypal takes your payment details on a secure server that nobody else can access. They never leave the server. They don't get emailed. There is no possibility that anyone else will get your details. What if the eBook is no interest to me? We give a no-quibble money-back guarantee. Simply send an email to us stating "I have erased all copies of your (title) eBook. Please give me a full refund". We will do this right away. So how soon will you send my eBook? We don't send it. If you pay by Paypal, without omitting any important details (such as your name! ), the "shopping cart" will automatically send you to a web page address where you can download your eBook immediately!